Earlier this year, the LA Unified School District - the nation's second largest - unanimously passed the Healthy Freedom campaign pilot program. The campaign would introduce vegan lunch alternatives for students who wanted a healthy, cruelty free meal. The pilot program started just last month and now students at seven lucky schools will have the chance to eat good food and have a good conscious to boot. Now NYC schools - the America's largest school district - has stepped up to the plate to offer their students the same courtesy. Starting this school year, students will have the option to lunch on great dishes like Lentil Sloppy Joes and Zesty BBQ Crunch Tofu. These meals are not only better for you, but they are better for the environment as well. In fact, vegan meals have far less of a carbon footprint than the non vegan variety. Huge school districts like LAUSD and NYC offering plant-based alternatives and cutting back on their meat offerings means less forests are toppled to make way for more livestock and less ozone destroying methane going into the air. It's time Chicago - the next largest school district - follows suite and allows their students to have the choice to eat well without contributing to the death of innocent animals or the destruction of our environment. 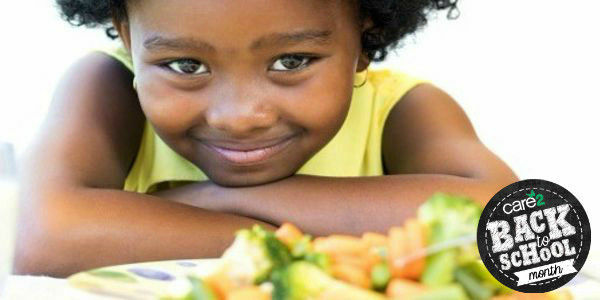 Help Chicago students get healthier meals help our environment by signing this petition. Let's send a message to CSD Superintendent Forrest Claypool and ask him to follow in LA and NYC's footsteps by offering vegan lunches to Chicago's students.